How could one think about plotting every day and the next. And that is ALL we do 🙂 Follow – You will find American made paper rolls supporting our economy – since Canon purchased Oce – the horizon expands and Shoots from Canon a Winner and a Keeper. This 24″ X 150′ 20#LB Plotter Paper (2″ core) paper roll is as good of 24×150 plotter media (20-LB) 24″ wide by 150-feet on roll at 20 pounds paper that could be called inkjet cad bond media premium white. Wed took a 24 roll plotter paper benchmark set by HP and took it up a notch, at times it is written as HP Office Paper your paper is just a bit better quality here. Made in USA paper for plotting by American workers. Above HP Designjet paper standards our 24″ x 150′ 20# Plotter CAD Paper (2″ core) 4 rolls/case YES gives you 600ft of highest quality wide bond plotter roll paper for large plotter printing paper that delivers quality time after time. 4 rolls in once box means you SAVE! 24 x 150 HP-plotter papers are popular sizes and when protected, as we do, in transit arrive at your door fresh from the factory and ready for plotting CAD printing on perfect 24″ x 150′ 20# Plotter size Paper rolls. 730245U starting as low as $43.96 you will be pleased (less than $11.00 a roll) with quality and fast service in getting the product. Delivering 24X150 HP Plotter paper over 20 years of dedicated quality service with over 60 years of back up experience behind us. Schools, city governments of usa, and individual engineers landscaping companies and more have built a plotter solid paper relationship with us over the years. 24 Plotter Paper means you can see the rolls and to what systems they work in (24 inches wide). Buy Plotting paper does make sense from us. You get Plot Paper Direct Fresh from the factory. See where the Canon image-PROGRAF ipf750 paper comes from and the difference between other inkjet un-Coated or coated papers. It is nice to know that ij 24-in x 150-ft #20 plotter paper bond does not have to cost as much as a old telephone call to Zimbabwe. In most cases we don’t ship to international yet there are great bulk connections to be made with us. Even the now Canon imagePROGRAF w6400 paper 24″inches found quickly with quality that a 2 inch core roll needs. Security. Our entire 24 wide Plotter CAD Paper 20lb Inkjet Bond Premium Products – Made in USA looks good and runs best. 24″ Inkjet Plotter Paper gets attention when it runs FAST SPEED through your HP Designjet, or Canon, Oce, even Epson (and accepts all ink) 24 Plotter Papers USA American Made to make the difference…fast shared. 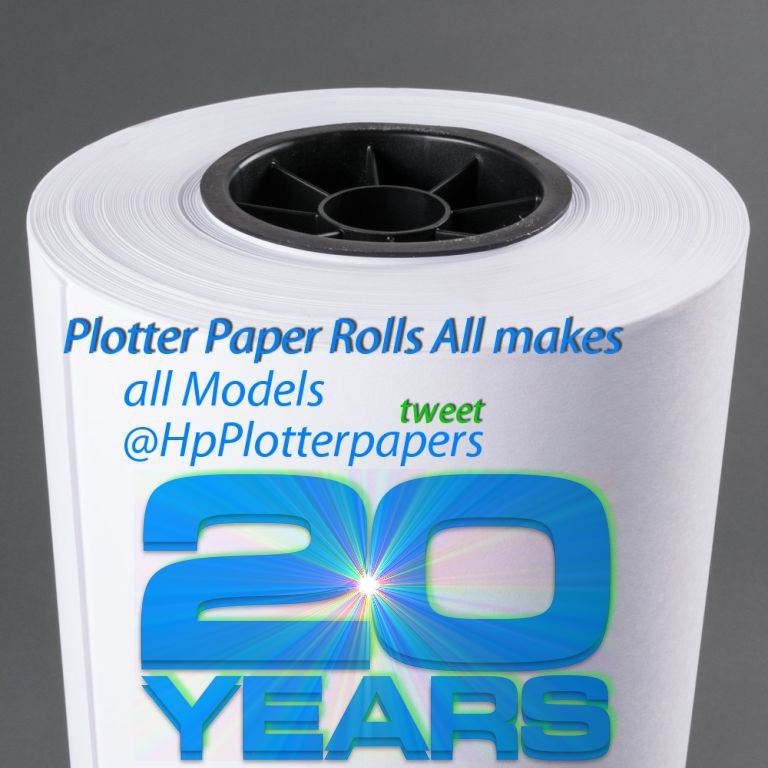 You can buy plotter roll papers and you give back to America papers workers. 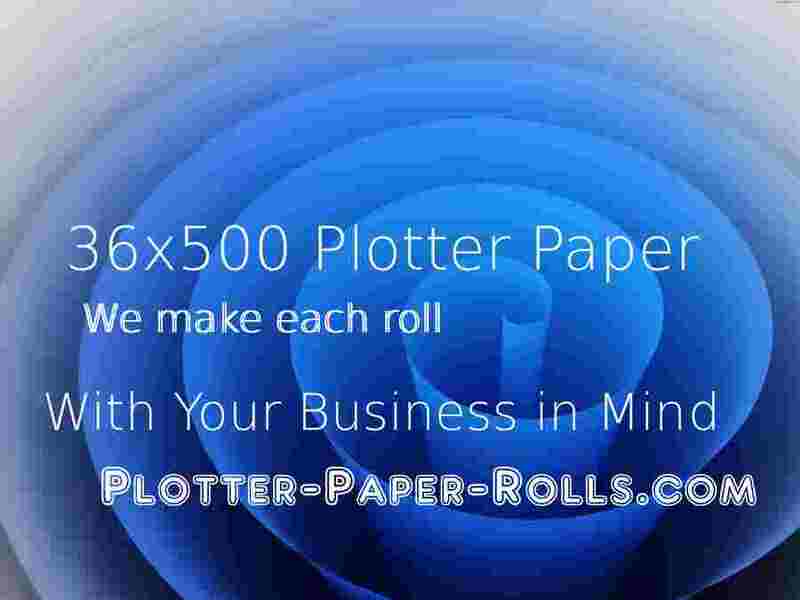 Plotter papers bond roll Wide-format recommended for Xerox, Ricoh, OCE KIP, Savin, Mutoh, Gestetner, and Lanier and all large format plotter printing. Our bond papers product is brand new, factory fresh. The 2 rolls of size plotting roll papers, 3″ core, 3 inch core, for great plotting roll after roll and r eady to go. This 20 lb. Premium bond is your media of choice for high volume plotting, printing and duplicating. This paper will provide you with the best value per print. Excellent for everyday use and ideal for printing 20lb.CAD Plotter Papers roll and engineering drafts. With each one of our wide Potter-Paper-Rollscom there is a commitment to keep you running with quality Papers Plotters sizes of media for your Kip, Oce, Xerox, Hewlett Packard, and all major manufacturers plotters wide format toner production and equipment. Applications include: Use on large format digital and analog printers plotters and copiers for economical copying. Large-format engineering and architectural plans, prints, diagrams and charts. 3″ Core sizes and 2″ Core sizes, Imaging Side Out. 92 bright. Not Taped. Shipped in Cartons only. Excellent for everyday use and ideal for printing CAD and engineering drafts. The bright white base provides high contrast and the surface finish is optimized for all Laser, LED and xerographic plotters and duplicators. Our 36″X500′ roll paper plotter products are recommended for Xerox KIP Ricoh Mutoh and many more for more info and to see the specs on this paper and all engineering plotter paper click here plotter paper for 36 x 500 size plotter paper the best deal. 36 X 500′ (36-inch X 500-feet) 20lb Bond Plotter Paper with 3 inch core. There are 2 rolls per unit that are boxed in sturdy cardboard to insure safe shipping and are made in the USA by American workers that care about their bond paper production. Product for use in Xerox, Ricoh, Oce, KIP, Savin, Mutoh, Gestetner, and Lanier and all large plotter paper engineering copiers. 36 x 500 20# is brand new, factory fresh, 2 rolls of size 36″ x 500′, 20lb bond plotter paper, 3″ core, 3 inch core, for use in wide-format engineering copiers. High quality xerographic paper which meets or exceeds all machine manufacturer specifications. 36×500′ Bond paper, Vellum, Mylar, Oce, KIP, Canon, HP, Epson, Ricoh you will find our 26 warehouses are located throughout the country for fast, dependable service. Your order will be shipped from a company warehouse located closest to you. BEST PRINTING: Remember to always print on the preferred side of the media. The preferred side is always on the outside of the roll unless otherwise noted. Handle print media by the edges to prevent dirt and oils from contaminating the print area. Best results are achieved when operating at 65-85_ F and 25-70% humidity. STORAGE: Always store laser/xerographic media in a cool dry area. If storage conditions vary from printing conditions, allow the product to adjust before beginning to print. 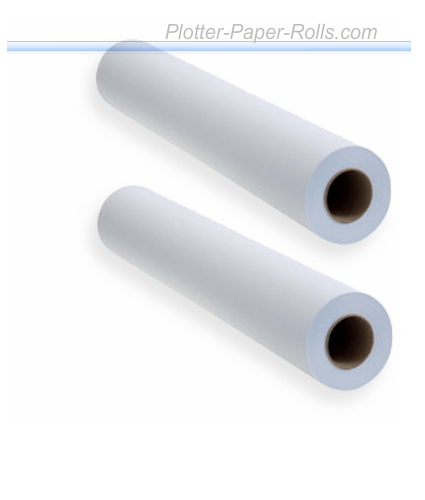 Richard R.
30×500 Plotter Papers 20 LB 30 x 500 plotting paper is 3 inch core laser media and is an economical sulfide bond for check-plots and non-permanent applications. This all purpose paper is excellent for detailed printing and imaging. 3″ core Certified FSC, our 30″ x 500′ plotter paper products are recommende for Xerox KIP Ricoh Mutoh and many more for more info and to see the specs on this paper and all engineering plotter paper click here plotter paper for 30 x 500 size plotter paper the best deal. 30″ x 500′ (30 inch x 500 feet) paper rolls 20lb Bond Plotter Paper with 3 inch core. There are 2 rolls per unit that are boxed in sturdy cardboard to insure safe shipping and are made in the USA by American workers that care about their paper production. There is a difference in hard work delivering true 30″ 500 xerographic, laser, and inkjet high quality printing bond that is perfect American office economical everyday printing and plotting with a bright white smooth uniform surface. Strong 20lb bond provides visual wide contrast manufactured to control curl and static charge to the roll paper. Technical Media 30″ x 500’ use in Xerox, Ricoh, Oce, KIP, Savin, Mutoh, Gestetner, and Lanier and all large plotter paper engineering copiers. 30 x 500 20# is brand new, factory fresh, 2 rolls of size 30″ x 500′, 20lb bond plotter paper, 3″ core, 3 inch core, for use in wide-format engineering copiers. 30″ x 500′ plotter paper, Vellum, Mylar, Oce, KIP, Canon, HP, Epson, Ricoh High quality xerographic paper which meets or exceeds all machine manufacturer specifications. 26 warehouses are located throughout the country for fast, dependable service. Your order will be shipped from a company warehouse located closest to you. 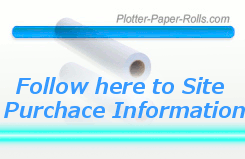 Richard R.
24×500 plotter paper is perfect for cad drawings or plotting out charts roll bond plot paper is used for this and is often rolled out by a large format copier. 24 x 500 plot paper above standard white for the best response to your large plotter paper printer copier. Often Ricoh KIP Oce Xerox printer roll bond solutions use the 24 inch by 500 feet roll paper. For over 18 years we have seen 24″ x 500 plotter copier paper make a difference for it is an American product. Choose American made and create a job. 20 lb 24″ x 500′ plotting papier no matter the printer our paper works GREAT! Large format plotter paper rolls 500 feet x 24 inches width 20 lbs are ideal for printing architectural and engineering documents, posters, signs, charts, cad drawings. 24×500′ Bond paper, Vellum, Mylar, KIP, Canon, HP, Epson, Ricoh. Richard R.
This roll bond paper has been America’s plot paper for over 20 years provide quality 20 lb plotter paper print results. Each wide format engineering roll is individually sealed in a protective moisture wrap that contains core plugs for added protection.